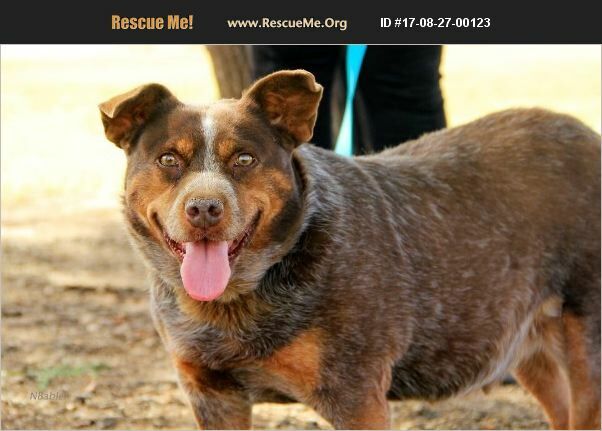 Arizona Australian Cattle Dog Rescue View other Australian Cattle Dogs for adoption. Meet Red, she is about 5-6 years old. She is a sweet girl, she is a little on the dominate side, We don't think she has had an easy life, she has had some litters, she is on the chunky side, she is on a diet. she spayed and up to date on her shots.Red loves laying in the pool. she is crate trained and learning house manners. She walks well on a leash, likes to go for car rides. Red is an easy girl.